China’s old friend, Zimbabwean President Robert Gabriel Mugabe, is in trouble. On November 15, the Zimbabwean military took control of the east African country and reportedly has kept Mugabe under house arrest ever since. Notably, days before seizing power, Zimbabwe’s army chief, General Constantine Chiwenga, paid a visit to China and met with Chinese senior military officials. 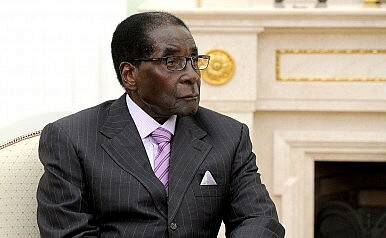 Mugabe, 93, has ruled Zimbabwe for more than 30 years, since the country won independence from Britain in 1980. Recently, however, he has faced increasing political opposition, especially after Zimbabwe’s economy cratered in 2008. Things came to a head when Mugabe attempted to secure his wife as a political successor. Mugabe fired his vice president, Emmerson Mnangagwa — who has been Mugabe’s political ally for more than 40 years — on allegations of disloyalty and deceit, in early November. Immediately after the dismissal, General Chiwenga paid a visit to Beijing for at least three days, from November 8 to November 10. During his visit, he met with General Li Zuocheng, a member of China’s Central Military Commission — China’s highest decision-making body for the military — and General Chang Wanquan, China’s defense minister. According to Chinese defense ministry’s statements, both generals reaffirmed China’s good relationship with Zimbabwe and promised to deepen cooperation with Zimbabwe as well as its military. Interestingly, when Chang introduced the 19th National Congress of the Chinese Communist Party (CCP) to Chiwenga, Chiwenga replied that Zimbabwe could learn from the series of major policies issued during the congress in shaping his own country, according to China’s defense ministry. It is uncertain whether this was meant as simple flattery or served as a hint for his next step. As soon as Chiwenga went back to Zimbabwe, on November 13, he issued a statement, demanding that Mugabe’s purges against senior ruling party officials should end “forthwith.” Otherwise, he warned, the military would have to intervene in Zimbabwe’s politics. Then, in early morning on November 15, Zimbabwe’s Major-General Sibusiso Moyo announced on TV that the military had taken control of the state. As a friendly country to Zimbabwe, we are closely following the situation unfolding in Zimbabwe. Zimbabwe’s peace, stability, and development serve the fundamental interests of the country itself and other regional countries. It is also the common wish of the international community. We hope that Zimbabwe could properly handle its internal affairs. Geng also firmly denied the rumor that Mnangagwa, the former vice president of Zimbabwe, is in China now. China’s relationship with Zimbabwe as well as with Mugabe personally can be traced back to the 1970s. When seeking Zimbabwe’s independence, Mugabe started to embrace Marxism. Meanwhile, China also actively supported Mugabe both with money and arms. With Mugabe a pariah in the West for human rights violations under his rule, China was one of the country’s few international supporters. Based on China’s attitude now, it seems that China will continue to support “the development path chosen by the Zimbabwean people,” whether that path will be led by Mugabe or not. Beijing pivoted quickly to embrace Mugabe's successor, and now welcomes President Mnangagwa for a state visit.